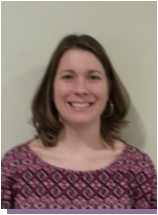 Jennifer Stroh completed her Education Specialist Degree in School Psychology from the University of Wisconsin-Eau Claire in 2007. She worked in the Grand Forks Public Schools as an intern and school psychologist. Jennifer received her NCSP in 2007. She has served on the fall conference committee and is in her third term as secretary for NDASP. Jennifer is currently employed as an autism consultant in West Fargo, ND, where she provides services for early childhood through twelfth grade.